1. Your list should be titled “Annotated Bibliography.” Not "Bibliography," not "Works Cited". Put this title in the top center of your first page. 2. Divide your Annotated Bibliography into two sections, labeled "Primary Sources" and "Secondary Sources." Single-space each entry and skip one line between entries. All source citations are tabbed 1/2 inch (one tab) after the first line. URLs (web addresses) should NOT be hyperlinked. Now we need to create an annotation to support that citation. Essentially, we are giving the reader a hint about what he or she could find in this source. This biography of Theodore Roosevelt helped me understand the way in which Philippe Bunau Varilla was able to get President Roosevelt to recognize the revolutionary government of Panama. It also gave me details regarding the specific treaties signed between the two nations that gave the U.S. control of the canal zone. Note that my annotation and citation are single-spaced, and all lines after the first line are tabbed in one-half (1/2) inch. An annotation normally should be about 2-4 sentences long. Really long annotations generally do not impress people. Get to the point! Please understand that it is NOT the purpose of an annotation to summarize the book but to assess its value to your research. The NHD Contest Rule Book states that the annotations "must explain how the source was used and how it helped you understand your topic." Do not recount what the source said in detail. You should use the annotation to explain why you categorized a particular source as primary or secondary, only if that is likely to be controversial. Historians do sometimes disagree, and there is not always one right answer, so justify your choice to the NHD judges. 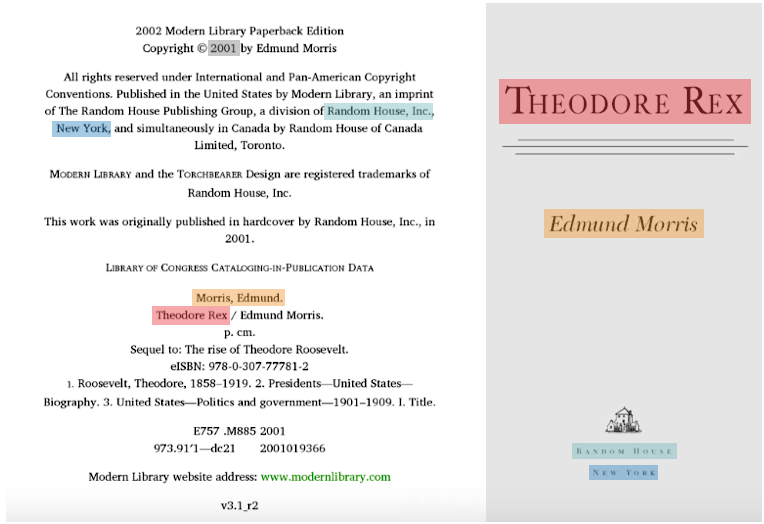 You may also use the annotation to explain that a book or other secondary source included several documents, photographs, or other primary materials used for the project. But please note, this book is still a secondary source, and should be included in the secondary source section of your bibliography. "This book included three letters between person X on the frontier and person Y in New England, which provided insight into the struggles and experiences of the settlers." "This book provided four photos of settlers on the Great Plains and their homes, which were used on the exhibit." You are supposed to give credit in a documentary for photos or other primary sources, but you can do this in a general way, such as by writing, "Photos from: National Archives, Ohio Historical Society, A Photographic History of the Civil War" in your credits. You then can use the annotation in the bibliography to provide more detailed information about the images that you found and HOW you used them in your documentary. Should I list each photograph or document individually? When you find a collection of photographs that you want to use, you only need to cite them once, as a group. We cannot tell you a specific number of sources, as that will vary by the topic and by the resources to which you have reasonable access. For some topics, such as the Civil War or many twentieth century U.S. history topics, there are many sources available to you. For other topics, such as those in ancient history or non-U.S. history, far fewer sources may be available. The more good sources you have, the better, but do not pad your bibliography. Only list items that you actually use; if you looked at a source but it did not help you at all, do not include it. Remember, quality sources that you use well are more impressive than a large quantity of sources that you barely touched. Whenever you are writing history in any form, you need to make decisions. It is fine to build your project off the research of others, but you need to give credit to the original author of the document or creator of the artifact. It is not fair to take someone else’s work and claim it as your own. In fact, this is plagiarism. There are some decisions that you need to make when you use someone else’s work or ideas. Decision point 1: Should I use the author’s words or my own? There are times when a quote is exactly what you need. 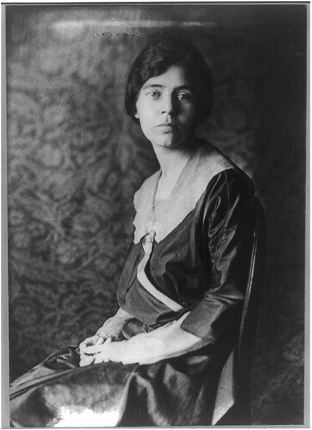 Sometimes an author just says something perfectly, or sometimes you want to bring the words of King George IV, Mahatma Gandhi, Julius Caesar, Booker T. Washington, or Alice Paul right to the page. When this is the case, use a quotation. When you write a quotation, you want to make it clear who is speaking and where the quote begins and ends (that’s the purpose of the quotation marks). As a general rule, you only want to quote when the quotation is perfect. Whenever possible, use a quote from a primary source over a quote from a secondary source. You want to give the people from the past the chance to have their say, but do not let their voices take over your paper. What if there is a quotation inside of a document? 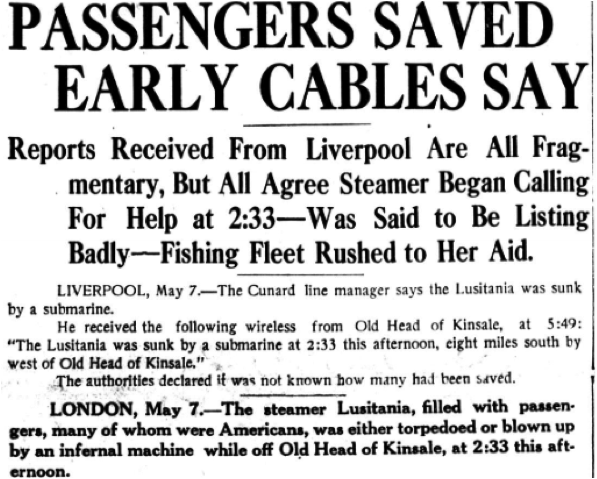 If you were researching the sinking of the Lusitania and you wanted to use this newspaper article, you would create a quote within a quote. You use quotation marks to cite what you got from the newspaper article, and single quotes to show the quote within the quote. But what if I only want to use part of a quotation? Using the same article as above, if I wanted to combine two sections of the quote, I would use an ellipse, which is three periods in a row. OK, so I found a written document, but it contains a spelling or grammatical error from the original author. What do I do? That happens. When it does, use [sic]. This is a Latin phrase which means “thus it was written.” Basically, you’re acknowledging that there is a mistake in spelling or grammar, but that is the way the original source was written. Decision Point 2: What if I can say it better? This is great, but that information still needs to be credited. How do you do that? Well, it depends on the type of project you are creating. Visit Citing Sources to learn how. Note to teachers: This guide is designed to condense the key elements of the Chicago Manual of Style to a format that can be understood by middle and high school students. The goal is to make this process as clear as possible. The sample citations are web-based so that they can be updated more frequently than any print resource could. NHD teachers are eligible to sign up for complementary access to NoodleTools for a single NHD season. This access allows use of NoodleTools for the purpose of National History Day projects. The NoodleTools online platform helps students to generate accurate bibliographies in accordance with NHD rules, evaluate sources, create and organize notecards, and archive copies of sources. Teacher mentors can view student work in progress and provide real-time feedback.